Ladies and gentlemen, can we please have your attention? We’ve just been handed an urgent and horrifying news story, and we need all of you to stop what you’re doing and read this. Lots of people watched Stranger Things 2. The TV ratings gurus over at Nielsen confirmed what was already obvious to the rest of us today, releasing viewership measurements that they mined from Netflix’s streaming video on demand (SVOD) data. 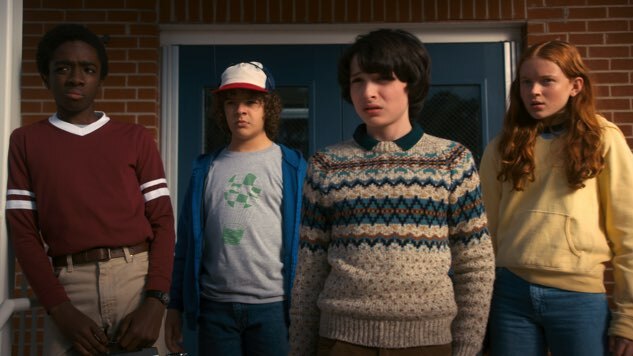 The company revealed Thursday that a whopping 15.8 million people—nearly 11 million of them adults aged 18-49—watched Stranger Things 2’s first episode within three days of its launch on Oct. 27, and those numbers don’t even account for mobile viewers. By Nielsen’s standards, both of those figures are equivalent to traditional TV ratings data points, per THR. Netflix, naturally, has not authenticated Nielsen’s numbers, as they are wont to not do—the streamer would presumably prefer to let hype sway new subscribers, rather than cold, hard facts. Nielsen recently announced a service measuring SVOD viewership for Netflix, as well as NBCUniversal, Disney-ABC, A+E Networks, Lionsgate, Warner Bros. Television and others. The company’s Stranger Things 2 measurements are the first significant result of those efforts. Stranger Things 2 is now streaming on Netflix, obviously. So far, we’ve shared our thoughts on episodes one and two, episodes three and four, and episodes five and six. We like ‘em.